For the first time ever, researchers at the National Institute of Health (NIH) have identified the evolutionary path taken by Yersinia pestis, or what’s more commonly known as the Bubonic Plague. As you may already know, the Bubonic Plague was one of the worst disease outbreaks in the history of mankind. While the exact number of fatalities remains unknown, scientists believe it was responsible for the deaths of approximately 25 million European residents during the 14th century (30-60% of the population). The general belief was that rats were responsible for transmitting the disease. Recently, however, historians and scientists concluded that it wasn’t rats who spread the Bubonic Plague but the fleas on the rats. Researchers with the National Institute of Health say fleas weren’t always the ideal carrier for the Bubonic Plague. It required many years of evolution in order for this deadly disease to acclimate to the flea’s biology. More specifically, Yersinia pestis had to evolve so it wouldn’t critically harm the fleas; thus, using the fleas as a transport mechanism to spread and reproduce. 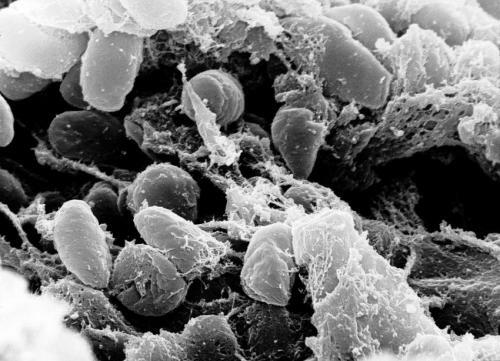 Lose three genes that hindered the Yersinia pestis‘ ability to spread. Develop a new gene that made the Yersinia pestis less toxic to fleas. Once Yersinia pestis had successfully achieved the three aforementioned goals through the process of evolution, it was able to spread more easily using the flea. Fleas would serve as a host to the bacterium, which allowed Yersinia pestis to spread to rats and subsequently humans. Researchers say this was the perfect storm, and it served as the precursor to one of the most deadly disease outbreaks of all time. “The research pair actually studied two types of bacteria, Yersinia pseudotuberculosis and Yersinia pestis. The former is relatively harmless in that it’s not a good carrier of plague. The later is the real culprit. Prior research has shown that Y. pseudotuberculosis appears to be a representation of what Y. pestis used to be, thus, to learn how the bacterium evolved to take better advantage of fleas, the team needed to look at how the two types differed,” wrote Phys.org. What do you think of this discovery? Let us know in the comments section below! Are Fleas To Blame For a Recent Case of Airborne Plague? Plague Case in New Mexico Caused by Flea Bites?